Anna Brones, author of Live Lagom, on creating a balanced reading practice in the new year. There are currently 16 books, three issues of Granta, and the latest issue of Bust stacked next to my bed. My husband looked at the stack the other night and said, “But you’re not reading all of those right now, are you?” I stared back at him with the are you seriously asking me that question? look. We are on opposite ends of the book-reading spectrum. He has one book going at a time, takes a deep dive in and is absolutely consumed, finishes it and moves to the next. I, on the other hand, start one, and then can’t wait to finish it before starting another, and then some new subject pops up that I need to read about Right This Very Second…and so here we are, with a stack of 16 books on my nightstand. “How will I ever have time to read all of these?” I often ask myself while flipping through The New York Times Book Review. In my reading life, much like the rest of my life, I suffer from being interested in almost everything. I want to discover new worlds, investigate new topics, find the answers to questions I didn’t even know existed. That being said, I’m not a heavy reader. I’m bad about keeping a list of books that I want to read (and books that I have read for that matter), I don’t partake in any book-related social media sites to share my reading habits with my friends, I’m not part of a book club, I can’t name the current hot names in the literary world, and I don’t have an astounding number of books that I’ve read in the past year. But I love books. I love words. I love sentences. I love fiction and nonfiction. I love bookstores. I love dragging my fingertips along the spines of books sitting on a bookshelf. An enormous stack of books on my nightstand is my kind of luxury. Reading is interwoven into my life not as a hobby or a pursuit, but as a crucial part of balanced living. A few years ago, we instituted a “No TV During the Week” rule in my household. I work as a writer and an artist, which means that by the end of the day, it can be really nice to turn off the thinking and consume a little brain-candy. But binging on one series turned into two turned into three, and soon enough I realized that vast amounts of time had passed without opening a book. We break the rule once in a while, but in general, it means that time before bed on weekdays is devoted to cracking open one of those many books on the nightstand. 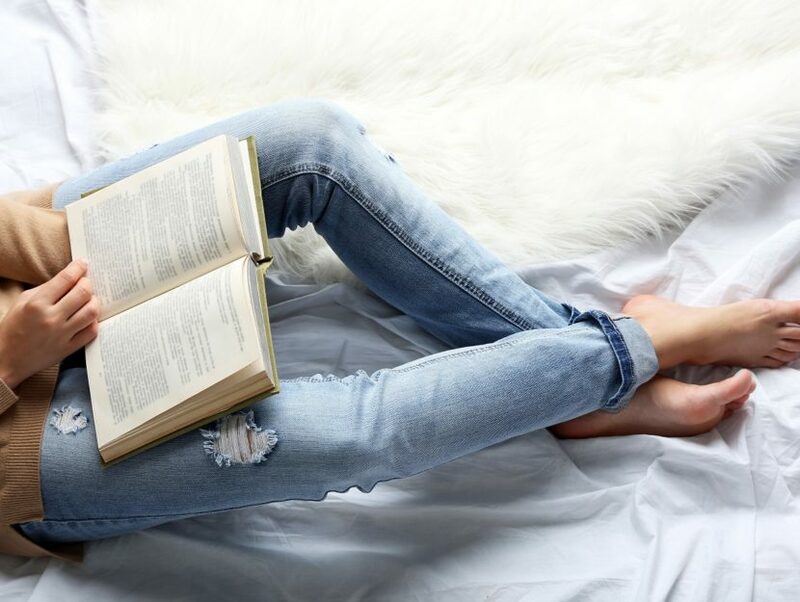 It doesn’t have to be for a long period of time—sometimes it’s just a few minutes before I can’t keep my eyes open anymore—but reading before bed has become a daily habit, as much as any other regular healthy activity, like eating well or a yoga practice. We can all spend several hours binging on a good book, but I think that a regular reading practice should be like all of our other healthy habits: balanced. These days, it feels difficult to carve out a few hours of uninterrupted time to do anything, but all of us can find small moments. A few minutes here, a few minutes there. Reading a poem or a short chapter in the time we wait for the morning coffee to brew. Opening a book to consume with our lunch, instead of scrolling through yet another newsfeed. There are only 24 hours in a day. No one is going to give us more time; we have to take the time to do the things we love, and the things we know give us sustenance—physically, emotionally, and intellectually. That’s why my reading before bed feels precious. It’s a time to slow down and unwind from the day, but those moments are also an essential part of a balanced lifestyle. Without that stack of books, something would be missing. The entire balance of my life—as a writer, reader, and artist—would be off-kilter. ANNA BRONES is a Swedish-American freelance writer based in Seattle. 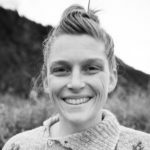 She is the editor of the online food magazine Foodie Underground, has been featured in the New York Times, and is a contributor to a variety of publications including BBC, Guardian, Sprudge, Women’s Adventure, GOOD, and PUNCH. She is the author of several books, including Fika and Hello, Bicycle.